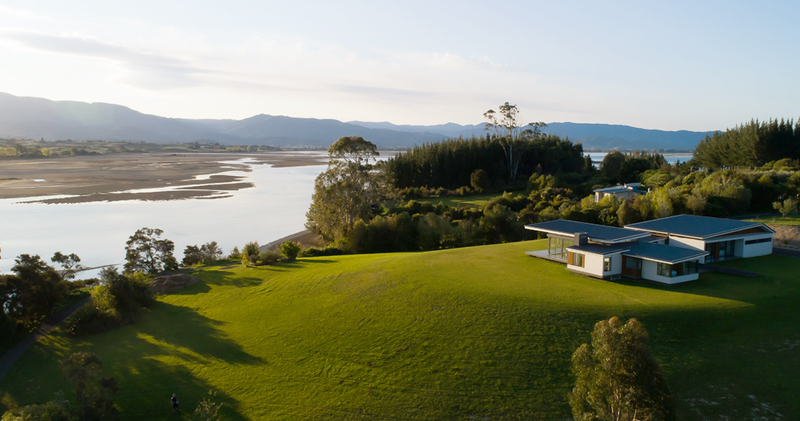 The vision for this project was to create a home for the client's early retirement years that provided a strong connection to the surrounding coastal and rural landscape. 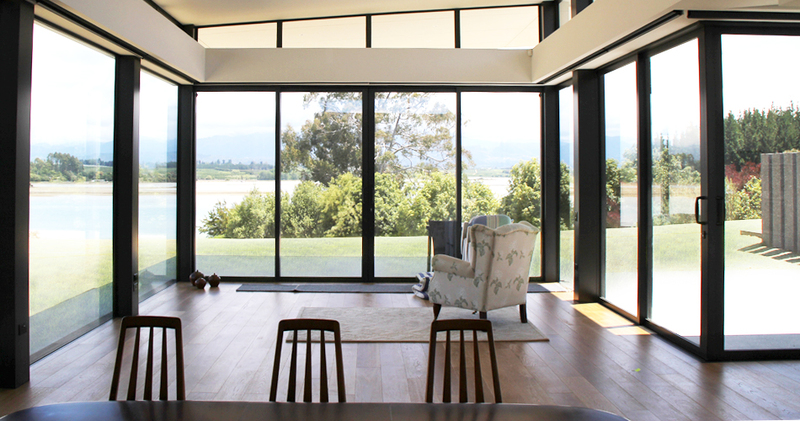 The site is located on the south side of Kina Peninsular, offering key vistas towards Mt Arthur and the Kina Estuary. The resulting building is low slung and steps onto the site to keep a low profile, however is grounded and punctuated with a large vertical precast chimney, contrasted with the stepped and floating roof forms. The house is divided into two wings to create sheltered courtyards to the east and west, to protect against prevailing winds and allow for Northern light to penetrate into the living spaces. A night lounge is tucked off to the side of the main living area to provide a sung and retreat from the high glazed and pavilion like living area.